04.25.11 Maine Chess Association President Andy Bryan discusses the events that make up the Chess Player of the Year competition and the scoring mechanisms. It looks like there is some controversy over the MECA Chess Player of the Year competition. In our discussion of a POY competition we decided to approve eight events with two events in four different areas of Maine: northern Maine (Aroostook County), eastern Maine (Greater Bangor area), central Maine (Augusta/Waterville area), and southern Maine (Greater Portland area). The suggestion was that these events be G/45 or longer with four rounds in one day with the exception of the five round Closed State Championship. The following TD's based on location and past tournaments were asked if they wished to participate: Steve Wong (All Saints Winter Warmup), Dan DeLuca (ChessMaine.net Championship), Tom Sandford (Eastern Maine Open), Roger Morin (Two Aroostook Tournaments), and Phil Lowell (Portland Open and Downeast Open). They all accepted MECA's invitation. Points garnered from their tournaments must be obtained in the Open sections of their tournaments and players must be MECA members to gain points. Roger Morin felt that two-day tournaments were best for northern Maine and was allowed to keep his events as part of the POY competition. Phil Lowell expressed a desire to change the format to a Quick Chess setup, and he would use the past formula to apply results to the competition. Games would be worth one half the point value of other events. Looking at Phil's setup for the Quick Chess Marathon it would mean that this event would be worth a potential 14 points whereas the Closed Championship was worth ten and the other events worth eight. I believe that if the Portland Quick Chess Marathon is to remain part of the POY competition then each point should be worth 0.3 points making the tournament worth 8.2 points; that makes it more equitable and does not have a skewing effect on the POY competition. At our annual meeting in the fall we will evaluate the events that were part of the POY competition and decide which events will be part of the POY schedule for 2012. We would love to hear recommendations from our membership. I appreciate the fact that Roger brought attention to the inequity of the set-up and to the fact also that the MECA POY competition guidelines were not spelled out on the MECA website like they were in the past. I do hope that future questions are directed to either me or another board member before going through a comment or letter to chessmaine.net. We are doing our best to make MECA a viable organization and promote Maine chess. Despite our busy schedules we have had more meetings than in the past and have been able to involve more areas of the state than in the past; I firmly believe that we are moving in a positive direction. As President of MECA I realize that the buck stops with me, and I hope that people appreciate the responsibility that I have taken. I was pleased with the State Closed Championship, and I believe there are many excellent events scheduled for Maine chess players in the coming months. Hope to see everyone at an event soon. I also have a blog for eastern northern maine if any one is interested and does anyone else have a chess blog? 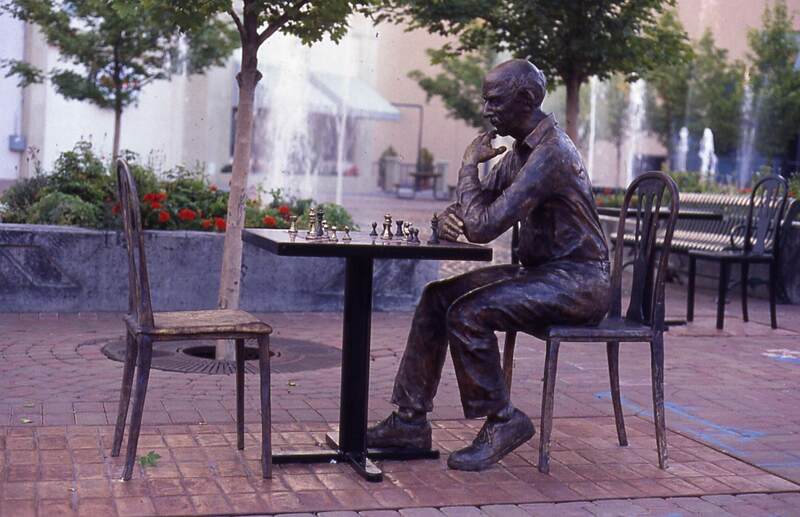 I have two blogs that are associated with chess in Maine.